Slade is an agent with the KGB. He is a double-agent working in British Intelligence but really working for the Soviets. The two-book series about this unpleasant, short, chubby traitor with a large unpleasant face, whose first name is never revealed, features two different agents for the Secret Service of England but the series is definitely about Slade. Not much is ever known about Slade. Why he betrayed his country is not known, nor is it ever discovered whether he was a plant by the Soviets from the beginning or did he grow hungry and sell out for money. That mystery in itself is enough to make the character very interesting and very, very scary for there is no way to know exactly how he will react. What is known is he is a treacherous, deadly man who has no qualms about killing whoever gets in his way, even his colleagues and superiors. He is extremely devious, clever to a fault, and possessing an intuition that keeps him alive in the strangest of situations. He knows that the men he twists about and forces to do his dirty work could easily kill him but he knows the right buttons to keep them in line. And it is difficult to believe that, though he works for the Soviets, not even they are pushing any buttons on Slade. In the first book Slade is very much in control while in the second he is far less dominating but never less dangerous. His keen intellect and a very good memory makes him a font of information which makes him very valuable and, since he can use almost any situation to his advantage, just when he looks at his most vulnerable, he can find a way to sneak out a victory. Alan Stewart, a man with a mysterious past he'd like to keep secret, is sent by British spymaster Slade to act as a courier by delivering a small package to an agent in Iceland. Others know about the mission and try to stop him and soon Stewart has to wonder who are the good guys and who aren't. They call themselves the Scarperers. They are an extremely organized and efficient group whose whole business is breaking anyone out of prison who can afford it. British agent Stannard is sent to Malta to break up the gang and to recapture their most notorious client, the double-agent Slade. 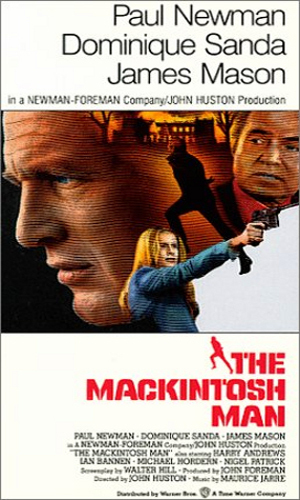 Joseph Reardon allows himself to be thrown into prison in order to escape with a convicted spy to trace how the gang getting them out operate. 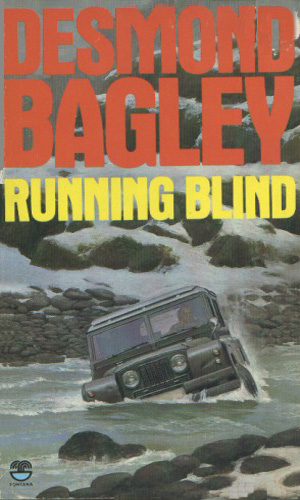 A three-part miniseries was created for Running Blind by the BBC in 1979. It was largely filmed in Iceland where much of the action of the book took place. Alan Stewart is out of MI-6 but agrees to a very simple job of delivering a package to a man in Iceland. Nothing is ever simple. 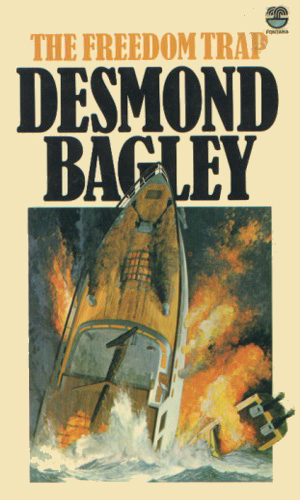 I fell in love with Mr. Bagley with his first book, "The Golden Keel", back in 1973. I also adored "The Tightrope Men" and "The Snow Leopard" is tremendous. I think around that time I must have read Running Blind because thirty years later when I picked it up, I recalled parts. I just never knew at the time that it was a series. The two books in this series are both quite a bit different. The protagonist in both is different and the motives and the reasons for the action is different. In both, though Slade comes across as a wonderfully despicable man.